We believe that all rural communities should have access to sustainable health services. SPPH students and faculty are invited to attend the 2019 SPPH Exchange. 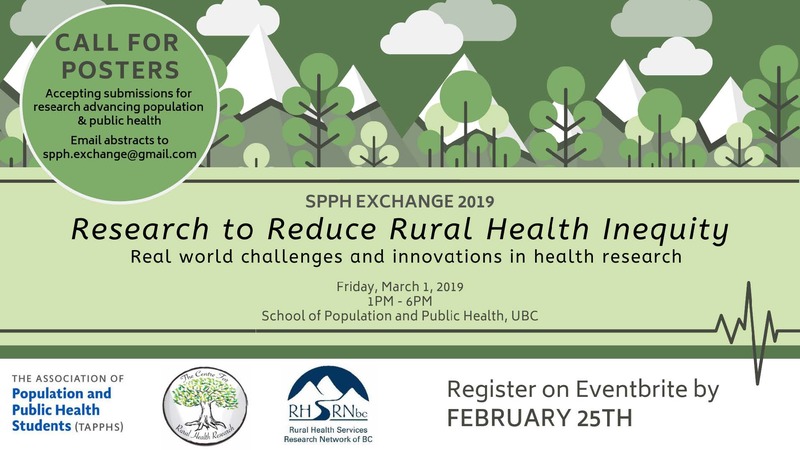 Sponsored by the Center for Rural Health Research and the Rural Health Services Research Network of BC, the SPPH Exchange promises to explore emerging issues pertinent to rural health and rural health services, and to identify current and upcoming evidence-based strategies for the future. Register online through Event Brite. The first five posters to be submitted will be printed free.